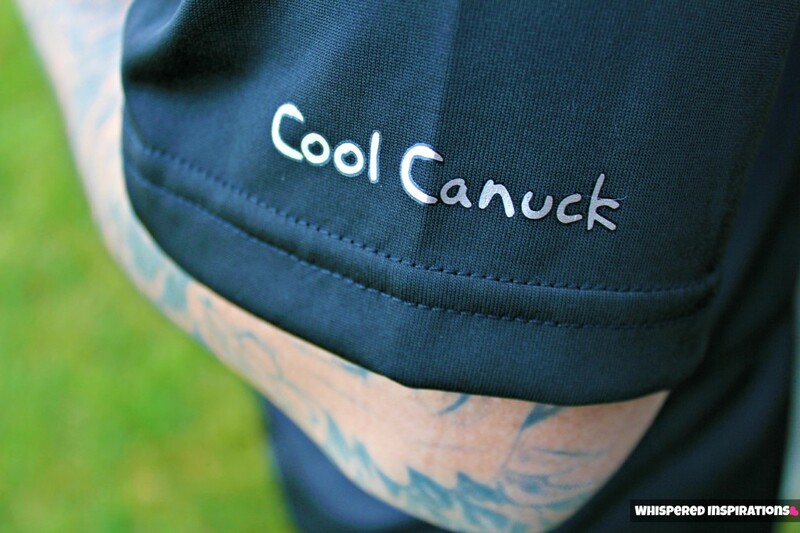 We had the opportunity to review one of Cool Canuck’s Men’s Short Sleeve Pro T-Shirts and we were very pleased with all-Canadian quality! Never heard of Cool Canuck? Well, they make innovative apparel, cooling towels and cool accessories. That can be used in cool or hot temperatures and instead of just wicking away moisture it does much more! 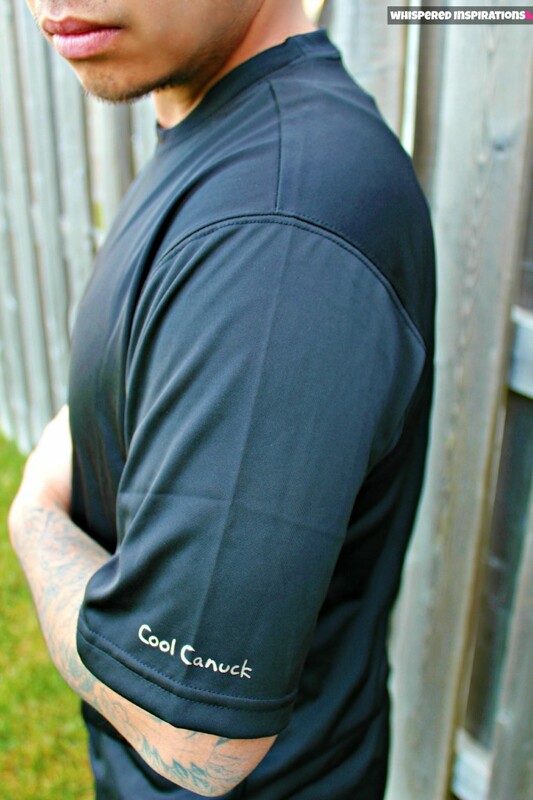 Cool Canuck is the first performance clothing company to use CoolCore’s innovative cooling fabrics. This new fabric technology incorporates the use of water, thermoregulation, moisture wicking and transport to deliver an instant cooling effect. Unlike other moisture wicking products in the market, our fabrics are NOT chemically treated. The cooling comes from the technology within the fabric. Dara plays soccer and he loves staying active so, clothes that can keep up with him are important. And when he sweats, he sweats. His first impression of the Men’s Short Sleeve Pro T-Shirt was that the material was super comfortable, it was soft, slick and when he slipped it on over an undershirt, it was super comfortable. He said he’s only once owned a shirt in this material, in fact he still has it and over 10 years it’s still as black as it was when he bought it. So, he was excited that Cool Canuck uses this material. Wash after wash, we know that it will remain looking as new as ever. This shirt retails for $44.95 and is worth every penny. My husband appreciates and is very serious about his work out clothes and doesn’t mind investing in ones that work. 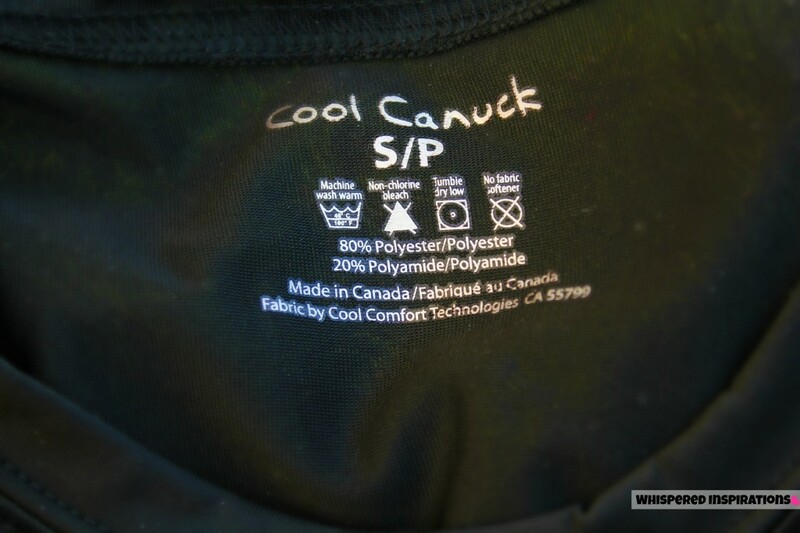 Cool Canuck is affordable and quality active wear! 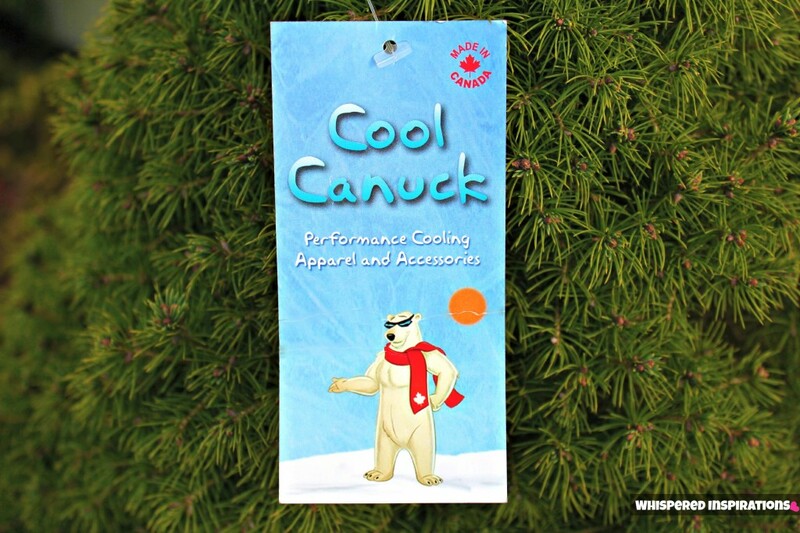 Cool Canuck doesn’t just wick moisture, their fabric technology is designed to trap moisture, cool it, then control its rate of evaporation. This process cools the shirt down to about 60 degrees F. If immediate heat relief is needed, the shirts can be pre-wet, wrung out and then worn. The fabric is designed to hold a reasonable amount of water without feeling heavy or uncomfortable. Dara used this method of pre-wetting and wringing it out and wearing it before he worked out, it definitely worked and he maintained cool throughout it. One of the things we love the most is that Cool Canuck is Made in Canada, we love supporting our fellow Canucks and with products like these–you can’t go wrong! I love lounging in Hubby’s shirts, I admit it. So, I tried on his shirt and it is super comfortable and the material is silky soft and thin. Though the material is a bit see-through, I’d suggest wearing something underneath. But, I highly recommend it myself! Right now, you can save 50% OFF on ANY product using the promo code ‘whispered‘ at check-out! Which is crazy savings! You can get this shirt or a sleeveless option for about $20 or Cooling Towels for about $6. I added an extra entry in the Rafflecopter to TWEET this promo, so there are two tweet entries to take advantage of! TAKE ME TO COOL CANUCK! Cool Canuck is a perfect gift for the men and boys in your life, even the ladies who love being active! We definitely recommend it for the athletes in your life and the gym rats too! Have you ever tried this cooling technology? Previous Post: « Finding Nemo: A Story of Adventure & Love, Sea It Yourself and WIN a Copy! I would choose the Men's Short Sleeve Pro Shirt for my hubby 🙂 He loves these types of shirts and you're right, the colour lasts! I would choose the Men's Short Sleeve Pro T-Shirt in black. I'd chose the women's short sleeve athletic shirt. My recent post He's Making a List. He's Checking it Twice. I'd either choose the Men's pro t-shirt or the kids short sleeve athletic t-shirt! I haven't tried this technology yet, but, I've been a fan of this company for quite some time. Thanks for the review, Nancy. The shirt looks great. I like Men's Sleeveless Athletic T-Shirts. I would chose the mens sleeveless shirt. A Mens sleveless athletic shirt or men short sleeved pro for my electrician boyfriend who is stuck working outside in the heat. I would choose the Men's Long Sleeve Pro T-Shirt. I would choose the Women's Short Sleeve Athletic T-Shirt. I'd get the men's short sleeve Pro T-Shirt.